A talented young woman is torn between her dreams and her family in this musical. 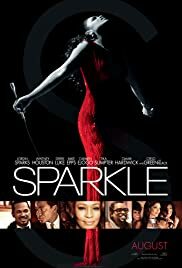 Sparkle (Jordin Sparks) has been blessed with a beautiful voice and a gift for songwriting, but she's afraid to perform her songs in public, in part because her mother Emma (Whitney Houston), a former entertainer whose career brought her nothing but heartache, refuses to allow her daughters to sing outside of church. 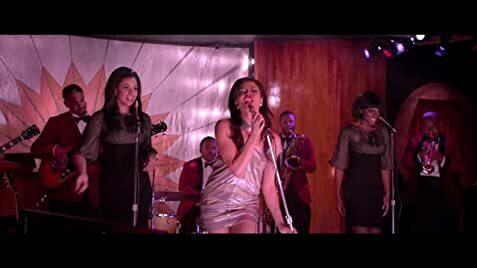 But Sparkle persuades her older sibling Sister (Carmen Ejogo) to sing one of her tunes at a talent show, and the reaction proves that Sister has star quality and Sparkle can write potential hits. An ambitious would-be manager, Stix (Derek Luke), persuades Sparkle and Sister to form a singing group with their sibling Dolores (Tika Sumpter), but while the act clicks wit audiences, the sisters have to contend with their angry mother, Sister gets caught up in a destructive relationship with a short-tempered comedian (Mike Epps), and Sparkle finds herself falling in love with Stix.